This is the place to buy, sell and trade toy cars like Hot Wheels, Matchbox and Corgi. I played with Mattel Hot Wheels when I was a kid and began collecting them in 1996 shortly after leaving a 79 cent Hot Wheels Treasure Hunt Gold Passion, a casting based on a custom '49 Mercury, on the pegs at KMart. That car is now worth $100. Several months later I found and bought three other Treasure Hunts. I was hooked. This site has helped me with my Hot Wheels collection and enjoyed over 50,000 hits thanks to people like you. Please bookmark my site now and come back often. If you are viewing on a mobile device go to the "menu" button at the top left corner of the page. Here's to family, friends and toy cars. An original Mai Kai Florida Derby Daiquiri glass from my parent's home bar! Fort Lauderdale, Florida's famous Mai Kai restaurant created this signature drink and glass in the '50s to promote Gulfstream Park's Florida Derby - a stepping stone for Thoroughbred horses on their way to the Kentucky Derby. 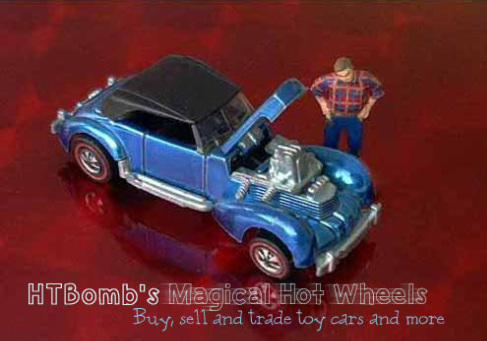 Thinking of selling your collection of Hot Wheels, Topper Johnny Lightning, Corgi and other vintage toy cars? You will be amazed at what your old toys are worth. 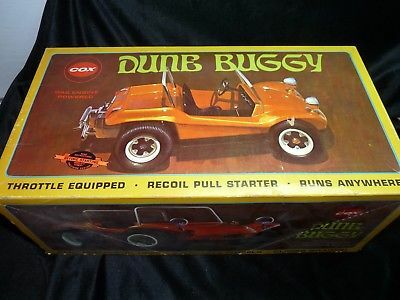 I offer top dollar and am particularly looking for "redlines" the original Mattel Hot Wheels toy cars made from 1967-1977 with red striped tires. I buy Hot Wheels car cases, collector buttons, track sets and accessories, too. Slot cars from Aurora, Cox and Tyco A/FX. Plastic model kits from Aurora, AMT, Revell, MPC and Monogram. Monogram Tom Daniel trading cards. Click on Sell Your Old Toys for more information and to contact me. Click on Hot Wheels For Sale to go to my Hot Wheels page. This page and all pages published on my website including photographs are ©1998-2017 HTBomb and may not be reproduced without expressed written consent. Hot Wheels, Hot Wheels flame trademark, and Mattel are registered trademarks of Mattel, Inc. This site is not affiliated with Mattel, Inc. Designated trademarks and brands are the property of their respective owners.